Your humble host recently got a Shenmue tattoo, so never let his love of Yu Suzuki’s seminal coming of age story be called into question. That said, even the most ardent fan would have to agree that Shenmue III has looked, well, terrible since it was announced. With the long-awaited sequel due out in August, though, developer Ys Net has to deliver – and we’re pleased to say that the title’s new screenshots look… Y’know, alright. 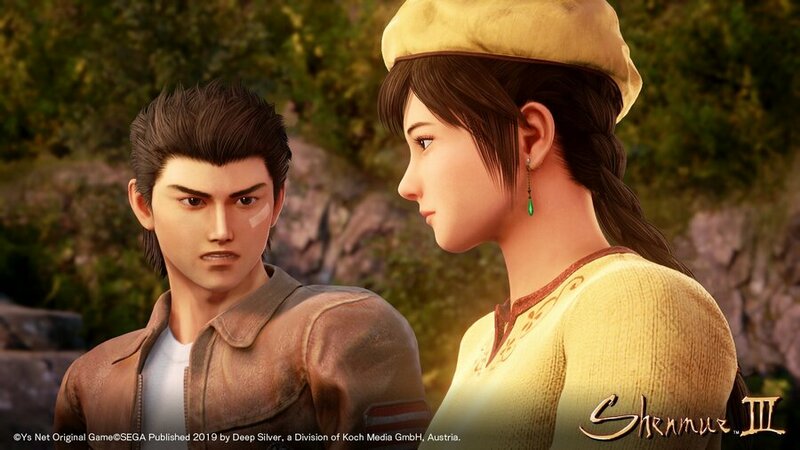 We still need to see the game in motion, of course, but these images from a pre-MAGIC 2019 press conference show that Ryo Hazuki’s character model is close to where it should be – and Shenhua looks great. Apparently, an extensive new trailer will debut on 9th March, while select attendees at MAGIC 2019 will get to see an exclusive gameplay segment. Which is both exciting and worrying – we really, really hope this is coming together. I really can’t wait for this game. I got Shenmue 1 & 2 HD for Christmas to refresh my memory of the story. To this day, I regret getting rid of my Dreamcast and NOT getting the Shenmue II import when I had the chance. I later played Shenmue II on the original Xbox, but I could have had quite the collector’s item if I has the original Dreamcast version. Modern gamers have no idea how groundbreaking Shenmue was when it first came out. Honestly, I think the series is still in it’s own league of interactive world immersion and dynamic storytelling. No other title to date can turn mundane day-to-day life into a compelling video game. “Killing time” in most other video games means killing enemies or performing fetch quests (or just resting at an Inn, campfire, meditating in the street). “Killing time” in Shenmue means practicing fighting moves, playing arcade games, petting a kitten, collecting toys, or just people-watching. It’s just so...unique! So excited for this. Waited so long. I loved replaying the PS4 ports of one and two last year. 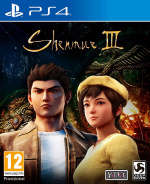 Plan on doing that again near release of Shenmue 3. I wanted to back the game with paypal but after a long time waiting for a response i just didnt want to do it anymore. Still dont understand why its not a standard option. Not getting excited until I have it downloaded. The environments look stunning, it's just the models need a little work. With the top screenshot, it looks like they're getting there. Hi there ! New here but a long time reader ! In 2000 when Shenmue came out here in North America , I remember rushing to a Game Store and buying it .. when I starting playing it , I could’nt believe what I was playing .. for me it will always the best game the Dreamcast has ever made and one of the top 10 games ever made on any console .. I’m playing right now Shenmue 2 HD on my PS4 , I got the Platinum for part 1 .... This series makes me want to go re-visit Japan , like NOW !! I cannot wait for part 3 ..
“GTA” if it wasn’t for Shenmue 1 !!! The true and original open world game !! Shenmue tattoo lol. A couple of weeks before the release of God of War I saw a dude with a massive tattoo of bearded Kratos on his shoulder. Even @playstation1995 probably wouldn't go that far. @FrequentlyFreaky I had the original Sega Brand VGA Box hooked up to a 17” Sony Trinitron monitor and 2.1 computer speakers. Shenmue looked and sounded like nothing I had ever seen before! I still have the original 41-track Shenmue OST AND the Shenmue Symphonic Soundtrack. The world building is still some of the strongest ive ever seen in a game. The original Shenmue is still beyond its years in some facets. We all know that era hasnt aged gracefully but the sense of real breathing towns and people never seemed so real. I cannot wait for 3. I just hope i can find enough time to beat 1 and 2 before 3 drops. "I'm not into tattoos." Great quote from Shenmue 1! Loved Shenmue 2, but meh! Just not feeling it this time round. Got the platinum for both of these within a couple of weeks of release. Really good games. I will definately pick up 3 and finnish the trilogy off. It could look like a dog's dinner and I'd still buy it. @FrequentlyFreaky @NintendoFan4Lyf also have my original Dreamcast version at home together with the Xbox version and the hd collection. Shenmue and all of Sega don't get the love they deserve imho, but I'm glad there are passionate fans out there. Even if they nail their vision of Shenmue 3 with this small budget, people are going to call it a disappointment. People’s memories of Shenmue are how amazing and alive the towns and cities felt all the way back in 2000. It was such a big part of the game. I don’t think Shenmue 3 takes place in any location like that. I always dreamed of meeting Mr Suzuki and ask him "what's that on Ryo's face?" @Flaming_Kaiser What exactly were you waiting for? The ability to back the game via paypal only just finished in october 2018. The slacker backer campaign ran for over 2 years and would of taken a simple google search. 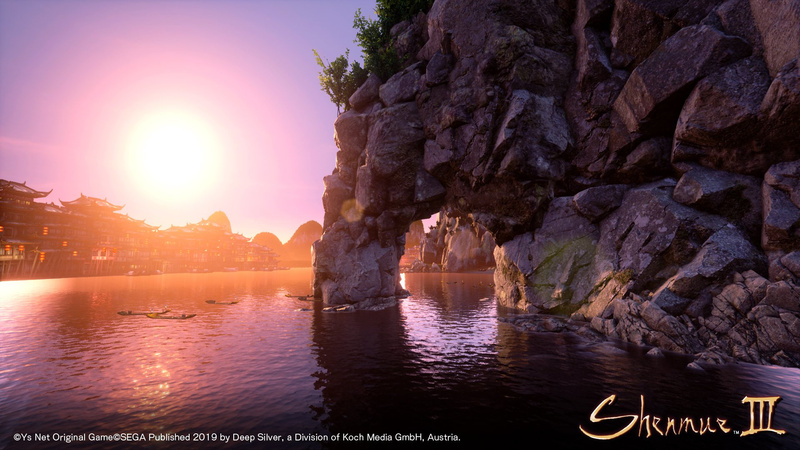 @Peach64 You'll probably be able to see for yourself soon, but Shenmue III does have environments like the ones you're describing. The second major location of the game is a large tourist town that's set to have the most "traditional" Shenmue feel.